On September 12, the U.S. News and World Report blog The Short List released a top ten list that placed La Sierra University 2011 graduates at the top with the highest average loan debt at $54,885. 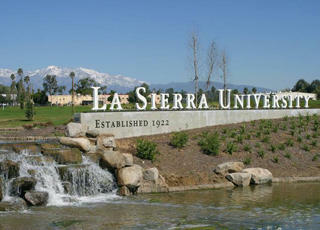 Contacted by Spectrum for a statement, La Sierra University says that two errors led it to misreport. In a press release, the Riverside, Calif.-based university stated that the 2011 student debt average should have been $42,934. In reviewing student loan data used to develop the university’s US News survey response, La Sierra University uncovered two major mistakes in its data preparation on the debt load question. The US News survey outlined a very specific set of parameters for universities to use to calculate the average graduating student debt. US News asked universities to exclude parent loans. La Sierra mistakenly included those loans in its calculations. The university also uncovered a number of instances where loans that 2011 class members had secured to move directly into graduate degree programs were mistakenly included in the undergraduate loan total. US News asked participating institutions to include only undergraduate debt. La Sierra University should have reported an average debt figure of $42,934 for the 119 La Sierra graduates who fit the US News criteria. This would drop La Sierra out of the US News top ten list of schools with significant debt burdens. La Sierra University’s own figures show that for the 2011 academic year, the average debt for the entire graduating class of 338 students was $29,363. . . .
La Sierra University added that it is contacting the magazine for a correction. The U.S. News blog contextualized its report by noting that "students who borrowed for college and graduated in 2011 left owing $26,224 on average, based on statistics reported by 1,035 schools in an annual survey to U.S. News."